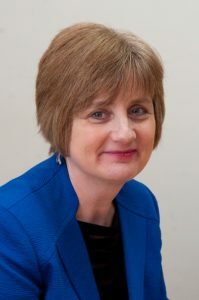 Mrs Cooke has been Head of The Henrietta Barnett School, a top-performing grammar school for girls 11-18 in North London, since September 2014. For the previous 7 years, she was Head of an independent school in Surrey. What attracted you to this position as Head of Henrietta Barnett? I started my career in the state sector and I was very keen to return to it at some point. It’s a great privilege to be leading such an extraordinary school. I say extraordinary because schools right at the top of league tables are usually very intense and highly pressurised. At least that was my experience at the time. So when I was first rung up by the recruiters about the position I declined, saying I didn’t believe in teenagers being pressurised and so had no interest in such a high performing school. They laughed and said I really needed to visit it. Eventually they wore me down and I am so glad they did because they were absolutely right. This school is very relaxed warm and friendly despite its outstanding results. The students very much refer to it as a second home. It’s a very special place where we very much treat the students like adults. Can you dispel some of the misconceptions about Henrietta Barnett? The pupils who have been offered places this spring visited earlier this month and several said their actual impressions didn’t tie up with what they had heard. I think sometimes people get the wrong idea: that we focus just on academics to get the results that we do. Nothing could be further from the truth. We have hundreds of activities going on including a rock band, a phenomenal robotics club, current affairs, sports, several choirs and chamber music groups. We believe that we’re educating the whole person and that means making sure they are involved in lots of projects outside the classroom. That helps keep things balanced. It’s also crucial because it stretches parts of them that don’t necessarily get stretched sitting behind a desk. Do you find that the girls gel quite quickly considering they come from a very broad range of backgrounds? They really do because this is like going off to university for them. Everyone is new and keen to make friends. What’s trickier is when you’ve got a school with a prep school attached and they all come up in a block and know each other. Here they all come hardly knowing anybody and there is such an established culture of friendliness that it’s just not an issue. They seem to mix in extremely easily, more easily than in any school I have ever been to I must say. We absolutely treasure the diversity. How diverse is the background of the girls socially? We haven’t got huge numbers of students who are on free school meals – I wish we had more– but have embarked on measures to encourage families from all financial backgrounds to apply. What drew me to the school is that it’s a true meritocracy. I am sure we have people who are extremely wealthy, but we also have people who have very little. We just recently bought a desk for a girl who didn’t have one at home to work on. Some of the parents barely have any English when their child gets offered a place. What our families all have in common though is that they tend to very committed to their children. How broad is your geographical reach? We try to encourage our families to think carefully about the distance because we don’t want them travelling extraordinarily long journeys, but at the same time it’s an amazing school so we draw from quite far. Some families will move if they get a place. It’s incredible what parents are prepared to do. Do you have students from South London? We have a few but the majority of our students are in North London and the nearer parts of Hertfordshire. A few come from South and West London. You can do these journeys; they take a bit longer but they are doable. We had a child sit the exam from the Isle of Wight last year. The family moved over. Do you believe that grammar schools are still a vehicle of social mobility? Yes I do. Because it’s still possible for some students to come from a family with very little, get this education and become all sorts of things. There is a girl in our top year group whose family came to this country with no English and very limited finances when she was in Year 5. She got in. She’s the most wonderful girl and in all sorts lots of leadership positions at the school now and she’s got an offer to go and read medicine. A grammar school helps you to achieve that. Is it still widely the case though, given the amount of tutoring going on? We do have lots of girls who haven’t had any tutoring and that girl is an example. You don’t need tutoring because it’s potential we are looking for. We work very hard at making sure our exam measures that. We work with Durham University, who write Round 1 of our entrance exam and they do lots of research on exactly that topic. Round 1 sifts the candidates from 2,400 to 300 who then sit Round 2, with exams written by the school. We write it creatively so they will not have done any of the Maths questions before. We’re interested in how they can think. In English we try and find a way to get insight into someone’s potential too. We certainly don’t want them to trot out a story that they’ve practiced 20 times before, and we can tell. Do you think there is a place for tutoring to learn to take this exam? I hope it’s perfectly possible to take this exam without needing to be tutored. That’s what we are aiming at. But obviously if people practise things they get better at them. We don’t release our exam papers which sometimes frustrates people, but the whole point is that we don’t want people to be able to predict and practise. We just want to get the best people and want it to be as fair as possible. What would be your advice then to a very clever girl who can’t be tutored? To enjoy reading books and pursuing whatever it is she’s interested in. Very bright students will often set themselves projects. Parents should give them the time and space to carry them out. Not every minute of the day needs to be scheduled. If someone really wanted to practise, I would simply say to buy the age-appropriate books for Key Stage 2 to ensure you understand what you are being taught at primary school. That’s what a tutor will do with you. You mention self-motivation and self-discipline in your welcome letter. How do you instil these qualities in the girls? I suppose we have some rules but in essence our philosophy can be boiled down to: “Let’s treat one another respectfully.” We certainly don’t have a list of rules up in every classroom that result in punishment if the pupils don’t abide by them. If an issue arises, we talk to them as adults. In almost every case it works very well. The girls have got plenty of spark — and sometimes it’s impossible to get them to be quiet because they have so much to say on any subject, or to hold the door for you because they’re engrossed in their conversations — but they are delightful and they generally want to do the right thing so it’s easy to nurture their self-discipline. They are highly motivated, very keen to do well. Providing a stimulating education and encouraging them to be intellectually curious feed their self-motivation. People say Henrietta Barnett is the cheapest independent school around. How do you make some many co-curricular activities available? We provide what we can within the school for free and sometimes we bring someone in from the outside and there will be a small fee. All the chamber music at the moment is completely free for example and the way it’s set up and run really fosters independence. There are around 15 chamber music groups working mostly on their own, rehearsing before school. The director of music will be going around the groups to check that they’re on course but there is minimal supervision. It’s brilliant for them to have that independence, and one of our chamber music groups just won the final of the South East Schools Chamber Music Competition. Our students own their learning. If you’re too spoon-fed, you don’t. How were Henrietta Barnett’s exit results this year? The Sunday Times’ Parent Power League tables put us as the top state school in the country this year on the basis of last summer’s results, and there were also very few independent schools above us. Our current Year 13 have a record number (40) of Oxbridge offers out of 134 girls in the year group and 82 who applied. Increasing numbers apply each year because we encourage them to have a go. What do you think women need today to be successful in the workplace? They need to have integrity and be self-assured, confident and put themselves forward and be prepared to take risks. They need to be good at teamwork and collaborative things. They must be able to stand up and speak, and address people. Do you find that women are supportive enough of each other in the workplace? Well, they are amazingly supportive of each other here. Even though they’re naturally competitive because they’re ambitious and all the rest of it, they’re not competing against each other. When we give out prizes it’s often not to the top performer but instead to someone who’s made a lot of progress or had a really interesting project, and they are always very generous about being pleased for each other. We really try to keep pressure off them. They put enough pressure on themselves. They don’t need pressure from the school. Is it possible for the fit to be wrong and should parents worry about their girl perhaps struggling academically once she gets to Henrietta Barnett? If you get offered a place, it’s gold dust, take it. It’s such an amazing place to be. We are very conscious of the need to look after them and make sure they’re all right, so if we sense they need support, they will get it. Generally the only thing that makes it very difficult for people to cope is if something is going on in their life outside of school and that would be the same regardless of which school you attend. Can you talk about your medium term goals for Henrietta Barnett? What do you want to accomplish? We have a long list of things on our development planning because you never want to be complacent. We are talking a lot this year about higher-order thinking to ensure that the majority of each lesson is focused on analysing, interpreting etc. rather than just a passage of facts. We are trying to use the time well to make sure they are really getting an opportunity to think. The other thing we are working on is raising their awareness of others around them as sometimes they can be so deep in their own world and their animated conversations that they don’t notice enough. We have also been doing a lot of work around confidence and public speaking by increasing debating opportunities for them.